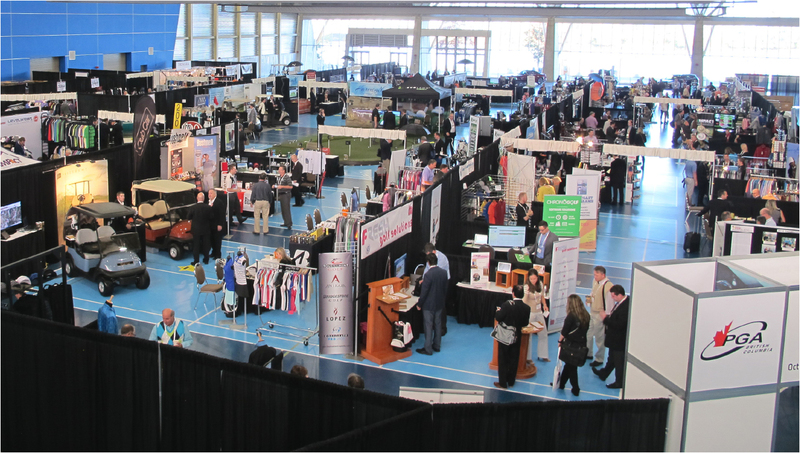 RICHMOND, BC (PGA of British Columbia) -- The PGA of BC Buying Show will open Wednesday at the Richmond Olympic Oval, with approximately 70 exhibitors and representatives from 150 golf facilities registered to attend the two-day event. Association members are encouraged to take the time to visit with as many exhibitors as possible over the course of the show. A full exhibitor listing and the Buying Show floor plan can be found below. An Open discussion with a talented panel of retail experts that will share successful initiatives, as well as provide tips to increase buying-efficiency. What are we actually fitting and does it matter? 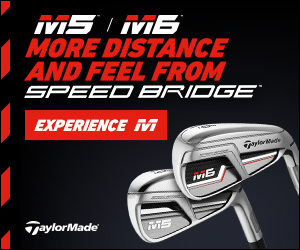 A performance-based look at how grip size affects golf performance. A panel of experienced Club operators discuss best practices in better preparing yourself and maximizing efficiency in preparations for 2019. Panelists: Brian McDonald (Head Professional, Fairview Mountain Golf Club), Brian Schaal (Executive Professional, Copper Point Golf Club), & Mark Strong (Executive Professional, Richmond Country Club). Please be sure to join us for the Annual PGA of BC Awards Celebration, honouring the incredible efforts and accomplishments of our members and partners throughout the 2018 season. The event will take place Wednesday, October 10th from 6:00pm - 8:00pm in the Whistler Ballroom at the River Rock Casino Resort. Limited tickets are available and are offered on a first-come, first-served basis. Refreshments and hors d'oeuvres are included with your admission. Please click here to purchase your tickets. Professional Development Program (PDP) points will be awarded for both the Buying Show (4 points per day) as well as the Awards Reception (2 points). Please note that it is the Member's responsibility to sign-in for all events' registration. Points will not be retroactively awarded if a signature is not present -- no exceptions. As introduced at the 2013 Show, the PGA of BC will conduct booking incentive draws at the top of every hour. For each Exhibitor with which a PGA of BC facility places an order during Buying Show hours, members will be eligible to win great prizes. The more orders you place, the more chances to win! As an additional incentive, members will receive a ballot for each day's attendance at the Show. These ballots will be eligible for prizes and will be drawn at 12:30pm on Thursday. Parking is available at the Richmond Olympic Oval's General Parking lot throughout the event at a cost of $1.00 per hour. Members are encouraged to arrive early as parking for the Show will be limited and available on a first-come, first-served basis. Please click here for information on over-height and overflow parking. Please find the 2018 PGA of BC Buying Show Exhibitor listing and Floor plan by clicking here. If you have not yet booked your accommodation for the Buying Show, limited rooms may still be available at the Accent Inn Vancouver Airport, conveniently located an eight-minute drive from the Richmond Olympic Oval. Junior suites are being offered at a reduced rate of $174 when booking using the promo code PGABC. In order to expedite the lunch process given the facility's limitations, a complimentary express lunch will be provided on the North-end of the Show floor for the first 150 exhibitors and attendees, starting at 12pm on each day of the Show. Please note that the O Cafe located on Level 1 of the Richmond Olympic Oval will also be fully operational throughout the Oval's regular hours.